Italian rider Andrea Dovizioso took home 25 points in the standings after finishing first in the opening race. 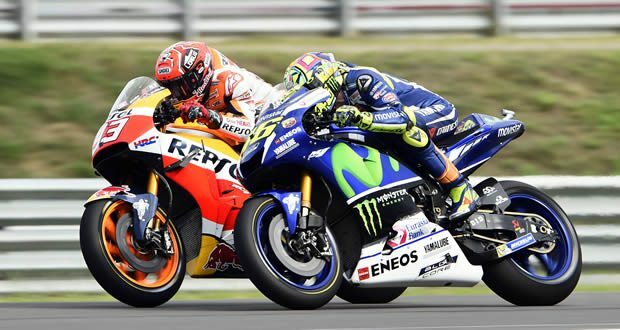 Defending MotoGP champion and Spanish national Marc Márquez finished second finishing .027s behind Dovizioso. Currently, Marc Márquez is the odds-on favourite to win the 2018 Moto GP. Just like any other major sporting brand on social media, MotoGP positions its Twitter account as the premier outlet for anything related to the sport and motorbikes. With one of the more impressive followers to following ratios in professional sport (Nearly 8,300 followers per one follow), the MotoGP social team sets the standard for how a league’s social accounts should be strategised. To put those figures into perspective, the PGA Tour’s Twitter account has about 2,380 followers per 1 follow. If you were to take a general glance at the MotoGP’s Twitter page, you’d find that almost all of its tweets feature some sort of media attached to it. This is important when looking at the best ways to properly run an account. The reason being that your followers are more likely to interact with your tweets when there are is something that they can view. You can find many examples of how the MotoGP’s account creates interactive media. For example, the social team at MotoGP created a quick 30-second video highlighting Dovizioso’s victory in Qatar. In the caption, not only did they use a hashtag to filter for an audience they know will interact with the tweet, but they tagged Dovizioso as well. In addition to the 2.44M followers that the MotoGP account is able to publish their content to, Dovizioso can like/retweet the original tweet to his 782,000 followers. However, the account doesn’t limit itself to highlighting the action from this season. Despite still being some time away (May 20th), the account wants to instil into its follower’s minds that tickets for the French Grand Prix in Le Mans are ready to purchase. Instead of simply using a clip from Spanish rider Maverick Viñales hoisting the trophy aloft last year, the social team decided to reintroduce one of the more memorable moments of the race. 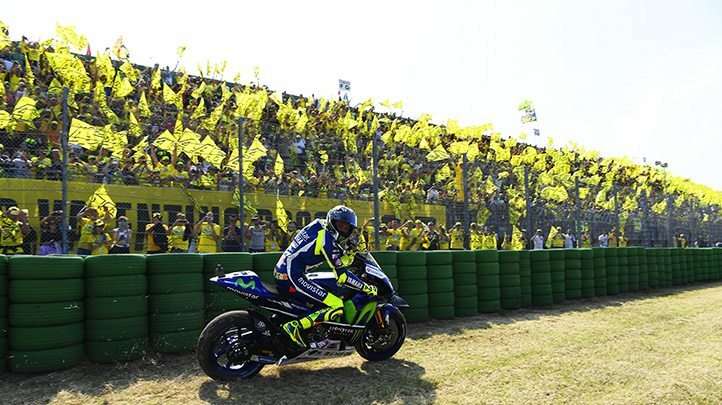 In Viñales’ quest for the title, he went down to the wire with Yamaha teammate and legend of the sport Valentino Rossi until he crossed the finish line. This tweet accomplishes two important tasks for the MotoGP social team- It brings back a moment of nostalgia for fans of Viñales, and just may convince that group to see if he can defend his title this year by purchasing a ticket. The amount of technology in MotoGP bikes is phenomenal. For this reason, each bike often cost approximately $2 million USD. There are a variety of reasons as to why these cost so much. It’s imperative that these bikes are lightweight and strong. As a result, often costly materials like Titanium, magnesium and carbon fibre are used in the engine to chassis to the fairings. One of the main elements which keep cost high is being able to monitor performance. Each bike has from 30 to 40 sensors gathering data on suspension, brakes, temperatures, steering, all of which is analysed after the races and practice sessions. As stated previously, the ultimate goal of any professional sporting social media account is to get its fans to purchase tickets and maximise profit. This goal can be achieved in many ways, but there aren’t many more effective ways to achieve it than through competitions. It is a very simple and easy way for followers to interact with your tweet. While the actual sweepstake may land two lucky people free tickets, the actual competition itself can potentially push followers to just buy a ticket anyway. It’s all about the way you can sell the event. The social team at MotoGP recently posted a questionnaire for anyone that attended the Qatar Grand Prix with the main goal of finding out more information about those that attended the event. With this in mind, the account told its followers that if you fill out the questionnaire before April 2nd, you would be entered into a draw for free tickets to the Valencia Grand Prix. This tweet essentially kills THREE birds with one stone. Not only do you blast out the questionnaire to over 2 million people and raise general awareness for the Valencia Grand Prix, but you give your entire audience a nice additional opportunity to experience the sport they love. Regardless of how much a ticket to any Grand Prix may be, it’s reassuring to know as a fan of the MotoGP the company is doing something to give back to its fans. It’s a simple and easy way to make your fans feel like they are the most important piece in solving the puzzle that is creating stable revenue in the sport. Sports are driven by fans because they are the customers of the industry. In the end, if the fan does not supply the cash, they risk losing support entirely of the club or league if they don’t provide the necessary amount of money.